Liana Technologies is a European company specialized in digital marketing and communication software. With solutions for Email Marketing, eCommerce, Websites, Marketing Automation, Press Releases and Media Monitoring. With LianaMailer and LianaCEM for email and marketing automation. Liana Technologies clients are professionals in digital marketing, communications, and advertising. 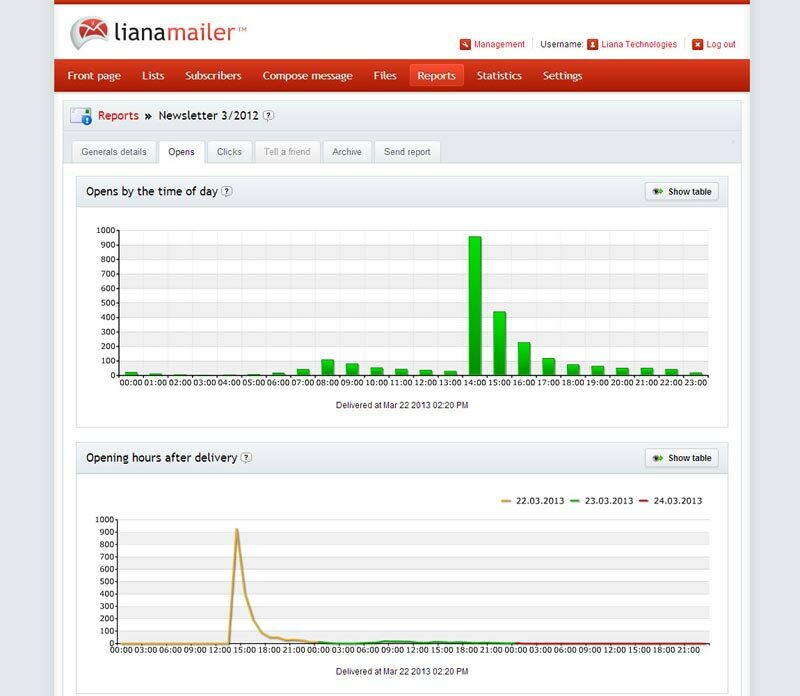 Liana products are used in over 3500 companies; customers include e.g. Hertz, SAP, Toyota, Ikea and Starbucks. Liana was established in 2005 it is headquartered in Finland with offices in Dubai, Paris, Hamburg, Munich, Hong Kong and Stockholm. Lianatech GmbH is a member of the Certified Senders Alliance. 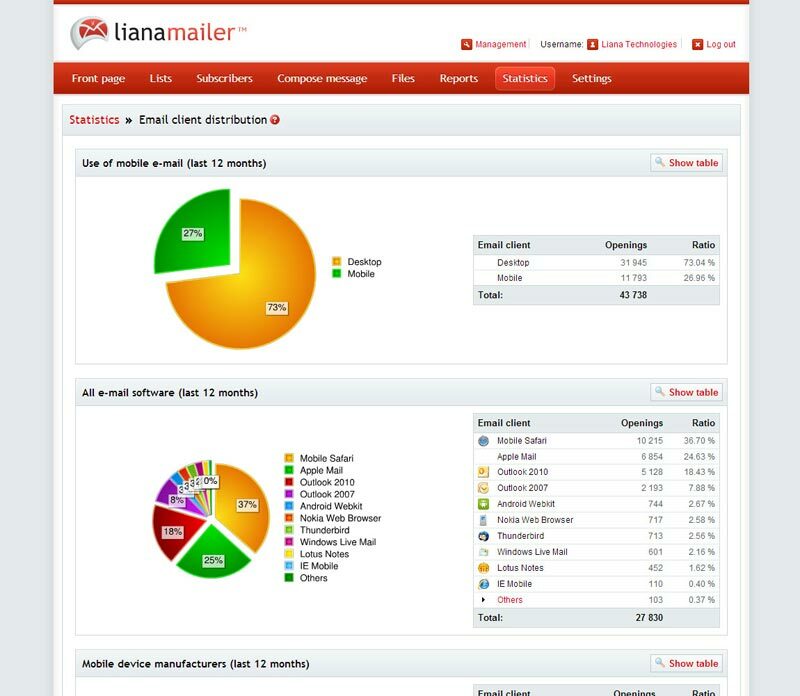 Are you looking for an Liana Technologies alternative for your email marketing? We listed some Liana Technologies alternatives. 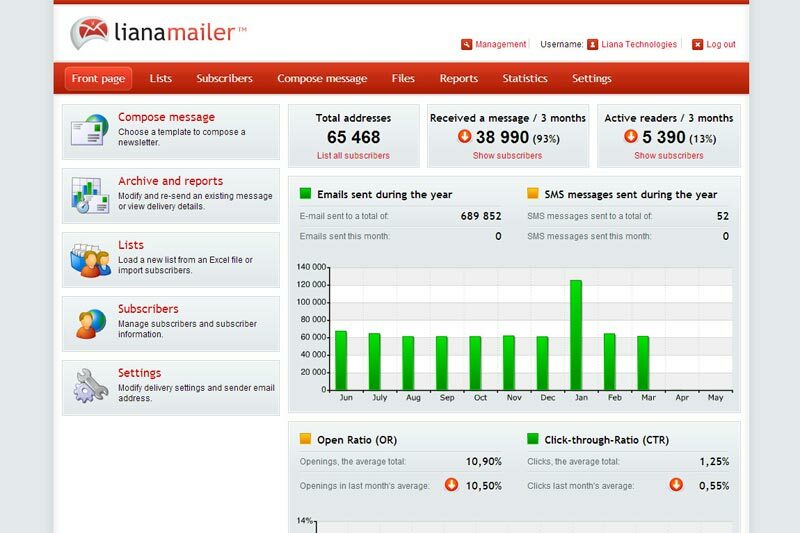 LianaMailer is a tool for email marketing and creating graphic newsletters with customizable look and feel for each company. The tool is used both by small companies as well as large corporations. LianaCEM is marketing automation software and a customer database that collects information from different digital channels to create targeted communication from user profiles. Analytics makes the communication more effective. CEM saves company resources as the technology behind it has been largely automated.